In the spring I did season-by-season recaps of the three old years added to the fold: 2003-04, 2004-05 and 2005-06. I liked those so much that I've decided to do them for every single year of the decade across which A18-49+ era is available. The summer began with 2012-13, we've looped back to 2006-07, 2007-08 and 2008-09, and today... it's 2009-10. 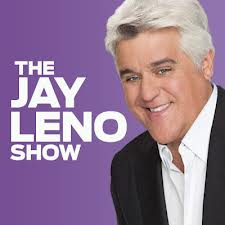 If you believe the media coverage, 2009-10 was the year of The Jay Leno Show. Ben Silverman's cost-cutting philosophy for NBC took its most drastic turn yet as the network gave its 10/9c hour from Monday to Friday over to the former host of The Tonight Show. After a fairly sensational 5.3 demo start, it was soon clear this was not going to be the show that revolutionized primetime. By the time it was pulled, it was only breaking a 2.0 on Tuesday (when it had a big lead-in from The Biggest Loser), while it was in the low to mid 1's on other nights. It averaged a mere 59 A18-49+ overall, and a 55 if you throw out the opening week. That may not have been such a bad number considering its cost, but it was still not the kind of number affiliates wanted to lead into their local news, and so NBC was back into normal network mode by February. While the media was obsessing over late night turmoil at NBC, the rest of the networks were putting together one of their strongest new classes of the last decade. After many years of comedy cluelessness, ABC finally re-discovered the family formula with Modern Family (135), Cougar Town (105) and The Middle (81). Fox introduced Glee (143), a solid fall performer that blew up when it got the American Idol lead-in in the spring, plus another animation cog in The Cleveland Show (113). And CBS found its second straight hit in the post-NCIS slot in spin-off NCIS: Los Angeles (125). Even NBC got into the game when it got its 10/9c hour back, launching Parenthood (94) after The Biggest Loser, and the CW had its biggest new hit ever in The Vampire Diaries (61). The rise of CBS took another couple key steps. The Mentalist (121) didn't blow up in its move to Thursday, but it decidedly improved the 10/9c slot over recent mediocre newbies like Shark and Eleventh Hour. And CBS moved its hottest young comedy The Big Bang Theory (188) into the Monday 9:30 slot after Two and a Half Men (177), a move that launched TBBT to its first season as TV's top scripted show and prepared it for its big journey to Thursday the next season. Right now, the class of 2009-10 looks like the best since 2004-05 by a pretty long shot. It's tied with 2004-05 for the highest renewal percentage, and a whooping nine of the 11 renewals went on beyond season two. Glee was very nearly the biggest scripted show on TV in 2010-11, and Modern Family claimed that title in 2011-12. Throw in the CW, where they developed pretty much their only hit ever (The Vampire Diaries) this season, and it was one great year. The Jay Leno Show was a big contributing factor in taking NBC even farther into the toilet in this season, but amazingly the network's average went even a tick lower than this in their next two "full-strength" seasons. As NBC lost ER and the once-proud CSI (122) suddenly found itself one of CBS' weakest 9:00 anchors, Thursday had its worst season in the A18-49+ era. Fox and CBS responded by moving American Idol and The Big Bang Theory to the night in 2010-11, which once again made it the elite weeknight. Jay Leno also put the decline of the 10:00 hour somewhat ahead of schedule; it recovered a bit of this drop in the next couple years before finally falling below the mark again in 2012-13. Sports had been trending sharply upward for six years in a row, but 2009-10 saw by far the biggest upward step (even in a relatively healthy year for entertainment programming). NBC's Winter Olympics (229) combined with the biggest growth season for Sunday Night Football (204 -> 271) made the lion's share of the difference. Outside of Glee and Modern Family, The Middle probably impressed me the most with its first-year ratings. It had anemic lead-ins (Hank, Scrubs) or a Modern Family rerun on a network that was pretty much out of the comedy business and starting over from scratch, again, on Wednesday nights. Do you know what NBC's A18-49+ rating would be if you split it between pre and post-Winter Olympics? The overpowering narrative about how Jay Leno was mucking up their primetime ratings makes me wonder if there was really a bounce. Also, was there a 18-49+ boost in the 10:00 hour in the spring compared to the fall when Leno got the boot?